A new book edited by three prominent education scholars provides readers with personal narratives, advice and useful strategies from a cohort of Black academicians who currently hold distinguished and endowed professorships at colleges and universities across the nation. For years, Drs. Gail L. Thompson, Fred A. Bonner II and Chance W. Lewis—the editors of the newly published book titled Reaching the Mountaintop of the Academy—have fielded questions from curious faculty members from across the country who wanted to know how they were able to become distinguished and endowed professors. Anxious to share their advice with others, in 2014, they reached out to other Blacks who hold distinguished and endowed professorships and asked them to contribute a chapter for the book. At a time when the Academy can be fiercely competitive and cut-throat, Lewis, Thompson and Bonner said that their motivation in publishing the 162-page book was to help the next generation of emerging Black scholars move into these prominent positions. For Thompson, who is the Wells Fargo Endowed Professor of Education at Fayetteville State University, mentorship is an important part of the work that she does. When she made the transition to higher education after years of teaching high school students, she was astonished when other Black scholars did not respond to her inquiries for career and scholarly advice when she reached out for guidance. “It was very, very painful because these were black scholars,” said Thompson, who added that her life-long mission is to “encourage and teach the ropes” to younger faculty and graduate students. She regularly offers workshops for pre-tenured faculty on the process of earning tenure and promotion and has been lauded for her research that focuses on African-Americans in higher education. Nationally, the number of African-American endowed or distinguished professors remains unusually small. In 2014, The Journal of Blacks in Higher Education identified 43 Blacks who held endowed faculty positions. Twenty were women, and 23 were men. In addition, there were nine Blacks who held distinguished faculty appointments. Eight were men, and one was a woman. It’s unclear if the numbers have increased or decreased since 2014. Lewis, who penned a chapter in the book titled “Overcoming the ‘You’re Too Young for a Distinguished and Endowed Chair’ Phenomenon: Naysayers vs. Destiny,” said that for years institutional racism prevented well-known Black academics like Dr. W.E.B. Du Bois from holding a distinguished teaching or research position throughout his career. The response to the book has been overwhelming, with junior faculty and graduate students flocking to read the book as they begin to plan their career moves. 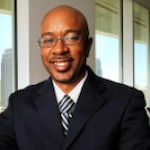 Bonner said the individual chapters, authored by well-known scholars like Drs.Gloria Ladson-Billings, Floyd A. Beachum and Allyson L. Watson, are not intended to be a “recipe cookbook” model, but can provide a variety of perspectives on how Black academics can advance their careers over time.